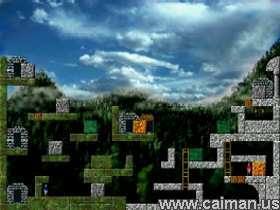 Caiman free games: Quadrax 3 by Jozef Kreutzer (Alfaline). 45 hard levels + level editor. In order to get the editor you have to complete all 45 levels. 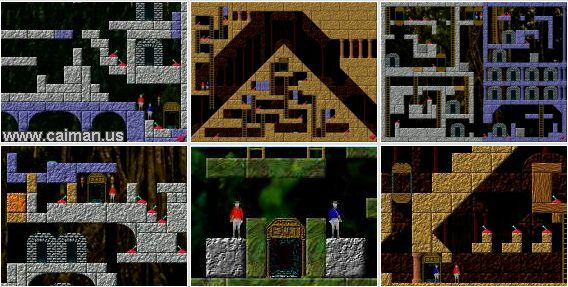 In 1996, Quadrax became the most successful logical game in both Slovak and Czech Republics. It has been a conversion of the logical game Quadrax which Cauldron made for ZX Spectrum. You need to move two characters to a predefined place. 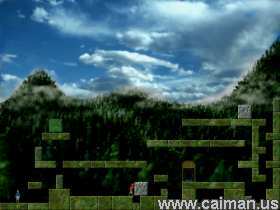 Principle is in help of both characters to each other by switching switches, moving stone blocks, opening doors, moving lifts to reach predefined area. note: I prefer the first version above this one.